Jezebel wrote about Vega’s Nutritional Shakes back in 2013, and they do indeed make you “feel like a billion” bucks. Regardless of what you think about Soylent, they’re also ridiculously convenient. I’ve replaced my breakfast, which is not the most important meal of the day, and which I probably wasn’t going to eat anyway, with a Vega Shake. I fell down the rabbit hole of macronutrient ratios back in 2013, and the stats here are kind of amazing. 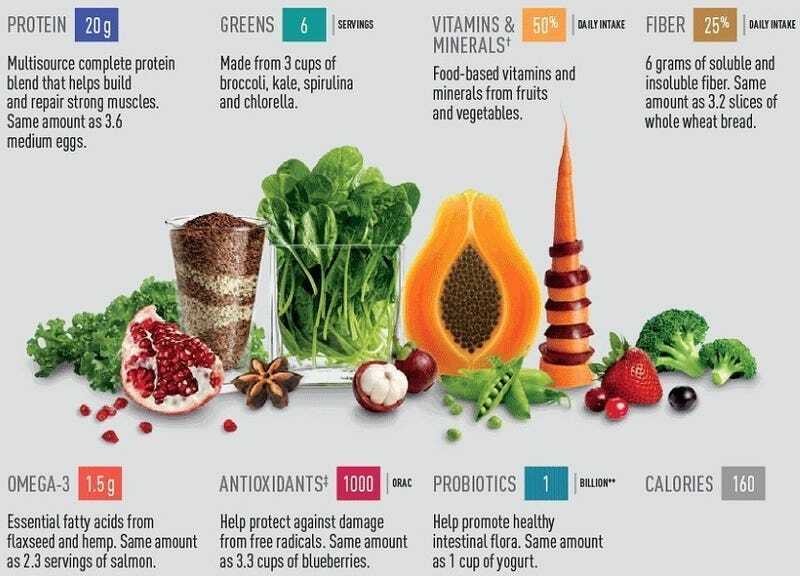 A gram of protein or more per 10 calories (depending on the flavor), plus six grams of fiber, 3 servings of vegetables, and good amounts of Omega-3, probiotics, vitamins, and illusive potassium. Vega is available in tubs, pouches, and individual serving packets, though the latter is of course less cost-effective (but way more convenient). It’s also dairy-free, gluten-free, soy free, and has no sugar added. It’s available in multiple flavors and you may want to pick up a blender bottle for easy mixing.